HotSpot Shield Review 2018 – Hotspot Shield VPN or Proxy Server? Mandee Rose | Posted on March 1, 2018 March 1, 2018 | Leave a comment on HotSpot Shield Review 2018 – Hotspot Shield VPN or Proxy Server? 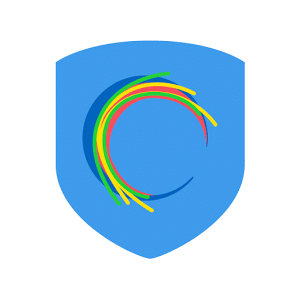 HotSpot Shield is a free VPN service. The service is a partner to the paid VPN service called HotSpot Shield Elite. For those who just want a quick, short-term solution for accessing US content while abroad, this free service could be the ideal utility. That said, the VPN has a number of restrictions that regular VPN users may find render the tool worthless. However, those people, having gained experience of using the HotSpot Shield interface, would find it easy to switch over to the elite version. Thus, the free version of the VPN can be seen as a loss leader to tempt users into the elite package. This review focuses on the free version of HotSpot Shield. This attractive and free service should be treated as an introduction to VPNs. Why would a company go to the trouble of creating a useful tool, and then not charge for it? This free VPN might make you suspicious. After all, a totally free service could be a con, put out there by criminals who want to trap people into revealing their personal data, while thinking that they are protected by internet security measures. The secret service or copyright holders could also put out a fake VPN in order to trap unwitting users. A totally free service is suspicious unless it seems to have some commercial value. This cut-down version of a paid service has limitations that make it easy to see why it exists. The purpose is to lure customers into the elite product. As such, the limits on data throughput and the number of simultaneous connections seem perfectly reasonable. If the free version had as many features as the premium offer, then no one would be interested in paying, and the company would never make any money. HotSpot Shield is funded by advertising. This is the price you pay for getting something for nothing. However, the advertisements do not appear in the interface, and you are not plagued by Trojan-style pop ups. When you connect with the VPN server, your browser will open with the corporate website – that’s as far as the advertising intrusion goes. What Features Does Free Hotspot Shield Have? HotSpot Shield is produced by AnchorFree. It has been installed by more than 500 million users. This figure allows the company to claim to be the most widely-used VPN service in the world. The software was first released in 2008. Until 2016, the VPN offered unlimited bandwidth. This may be the cause of the service’s rapid uptake among the public. HotSpot Shield is sufficiently secure to dodge the restrictions of a number of despotic regimes – it was widely used by protestors during the Arab Spring freedom movements in Libya and Egypt in 2010 and 2011. You get security, but you are only allowed access to one of the company’s server locations – the USA. This means that HotSpot Shield is no good if you are from another country and want to use a VPN to access home media sites when you are abroad – the geo-location restrictions on these websites require access from the same country. You may need a VPN to skirt around proxy restrictions on the network that you use to access the internet. Many educational institutions and companies block access to a range of websites, but accessing them via a VPN gets you through the block. The VPN will protect your connection when you are accessing the internet through a WiFi hotspot, and a software security feature detects malware and phishing sites. The issue of logging, and the company’s base in the USA, make a lot of people nervous about this VPN service. Most VPNs boast on their websites that they do not keep any logs, but AnchorFree doesn’t. This is important, because copyright holders have been known to force download sites to hand over lists of the IP addresses that accessed their site. The point of using a VPN when downloading is that it gives you privacy. However, if the VPN service keeps records that connect your real IP address to your activities, then it could be forced by legal action to hand over those logs. HotSpot Shield specifically states in its terms of service that it collects activity data. It also warns against copyright infringement, which indicates that when the chips are down, it won’t risk its corporate survival for the sake of the rights of its customers to use torrents. Apart from the app, which you can get from the HotSpot Shield website, the VPN also comes as a plug-in for Chrome and Firefox. You can get the free add-on at the Google Store, at the Mozilla website, and also at the Apple iTunes Store. To get the app, click on the Free Download button on the homepage of the website. You don’t have to enter any personal details at all. The download starts immediately and the page will change to show you installation instructions. Click on the downloaded file to open the installation wizard. Unlike most installers, you don’t have to keep clicking on a “Next” button to go through the installation. You don’t even have to accept the terms of service statement! The interface is super-easy to use. There is a drop-down list that lets you select a server in a different country. However, if you select anything other than the United States, you get a message that invites you to upgrade. Give up on trying for a different country and press the back arrow to get to the initial screen. Click on the slider to get the service turned on. It works! Despite its limitations, HotSpot Shield will get you access to US TV content. The browser add-on is available from the Google Store for Chrome, or from Mozilla for the Firefox browser. The Apple iTunes Store also has a version of the Chrome add-on for those running the browser on Macs and iOS devices. Click on the “Add to Chrome” button to get the plug-in installed. A pop-up will appear. Click on “Add extension” to proceed. The installation process is very quick. When it has finished, you will see an icon with a crescent in it at the end of the address bar in your browser. Click on this to open the VPN interface. They will try to get you to buy. Just click on “Continue as free user” to access the control panel. As you are only allowed to connect to one server, the add-on has a very simple layout. Just click on the big button to get the VPN running. After pressing the button, you will see it change to indicate that you are connected. The browser add-on has a “Support” item in its hamburger menu. Unfortunately, it doesn’t work. There is no support link in the app. You may remember that I downloaded, installed, and ran both the app and the add-on without giving any personal details at all. That means that I have no user account. The lack of accountability means that marrying up my current installation with support issues would be pretty difficult. However, the company is able to track the data usage of each installation, and so there is obviously some logging communication between the computers that the app is installed on and the main HotSpot Shield server. Back at the company website, the support link at the top of the homepage leads to a knowledge base center. This does give the option of contacting the support helpdesk. After you select a subject topic from a drop-down list, you are presented with a web form. Many paid services have the same procedures for support, so this is not something to complain about on a free service. Is Free Hotspot Shield Fast? You only get a choice of one VPN server location with this free service. That means you won’t be able to avoid geo-location locks on media sites in other countries, but you can still improve the performance of your internet service with a VPN. After turning on the VPN, I checked my new IP address and found that it was in Miami. Connecting to the server down the road, I discovered that the ping was not so good, but the download speed had actually been improved … by a lot. Connecting to the server in Miami got me far better results than I achieved without the VPN. In fact, the connection was more than twice as fast. I then tried the connection to London again, with the VPN server in Miami still turned on. These speeds are way better than the results of connecting to London without a VPN. Should I Subscribe to HotSpot Shield? For a free service, HotSpot Shield gives you a pretty big bang for no bucks. If you want to access media sites, you will be well served with this application if you use it to access US content from abroad. Users who are traveling to countries with poor internet provision can greatly improve the WiFi connections they encounter in bars and cafes if they run this service. All-in-all, this is a good way to try out a VPN service when you go on vacation. If you need to be connected permanently, and if you need access to a wider number of countries, you would probably be better off investigating other, paid VPN services. Although there is no live support, I didn’t need it, because everything worked first time.